Joyce Yahouda has over three decades of experience in supporting and promoting emerging artists, artists in their mid-career as well as established artists. From 1981 to 1990, Joyce Yahouda was director / curator of Galerie J.Yahouda Meir. 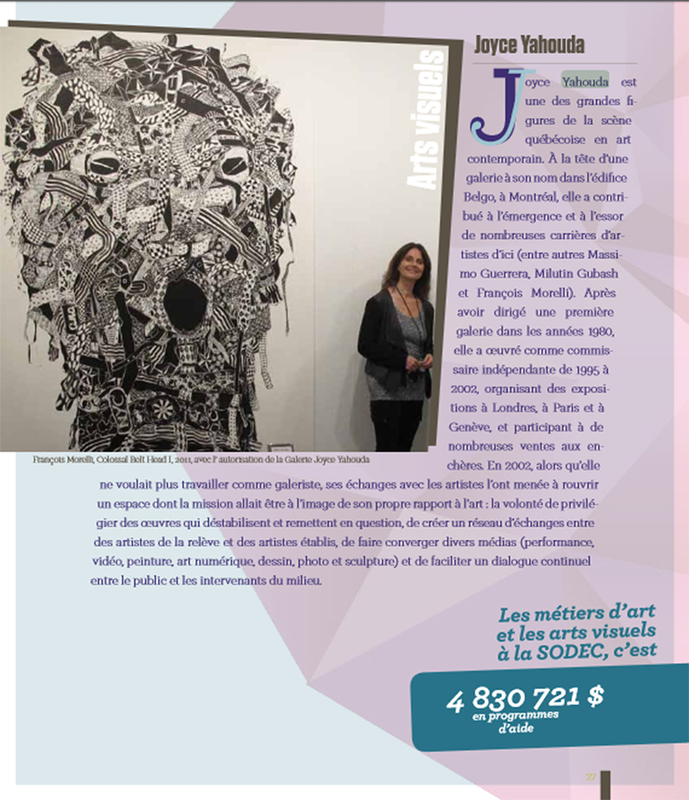 From 1990 to 2002, working as an independent curator, Joyce Yahouda organized exhibitions in London, New York, Paris, Geneva, Rio and Montreal in order to promote Quebec artists. Since 2002, Joyce Yahouda has been the director / curator of Joyce Yahouda Gallery, promoting contemporary art in various mediums including painting, drawing, performance, photography, installation, sculpture, video, web based and digital art.Through various events including conferences and round tables, Joyce Yahouda Gallery incites a dialogue amongst artists, curators, collectors and art critics. In 2011, she was nominated for the "Gallery Owner of the Year" award at the Visual Arts Gala, organized by the AGAC. She was awarded the prize in 2012. Joyce Yahouda has been on the consultation council of the Conseil des Arts de Montréal and on the acquisitions committee for artist’s books at Bibliothèque et Archives nationale du Québec. She serves on the committee for HB magazine, dedicated to contemporary drawings. 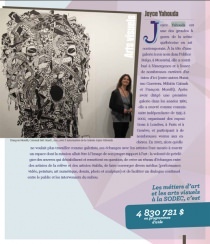 She has also served on the board of directors for the Association des Galeries d’Art Contemporain de Montreal (AGAC).